I am a type 1 diabetic and not very good controlled but also not very very bad. My total cholesterol is quite high 8,2mm/l , HDL 1,71 mm/l and LDL 6,7 mm/l. This has been very high as long a I can remember until I used statins. Even before I was a diabetic. First I had simvastatin but had a lot of muscle cramps. Then I had Ezetrol for years. Did not have a lot of trouble with this but slowly my cholesterol did rise again and I got a new doctor. He wants to lower my risks because my cholesterol is way too high. I have had several statins from my new doctor but again I cannot tolerate them very well and they do not lower my cholesterol enough for a "diabetic". He wants it crazy low. I also had a elevated blood pressure around 138/92. Looking for alternatives I discovered this site and thanks to Vit C it seems my blood pressure is dropping to around 123/82 for several measurements in the last few weeks. My doctor makes me scared because in my family several people have died early on my fathers side and now wants to check me for FH. My father also had a massive hearth attack and he was the most healthy one in the family. Fortunately he survived. What do you think about FH? Depending on the result he wants me on injections. I think he means PCSK9 inhibitors. That doesn't sound very good. Are they even worse than statins? I have been taking 12g Vit C for several months now and 2g Lysine and 2g Proline per day. Cholesterol did not drop a bit, only my bloodpressure dropped. Don't know if it's too early too tell. Also taking the recommended Vit A, Super B complex, Vit D, Alpha Lipoic Acid, Q10 and Vit E among others. I think i have to up my Lysine intake to 6g but any tips how to increase Lysine intake without taking so many 500mg pills? I already have trouble with taking so much Vit C using a water bottle. It starts to irritate my stomach and throat. Maybe I have to try liposomal Vit C because my insulin competes with the Vit C and to increase Vit C intake without having the stomach and bowel issues? It is too expensive to buy so I have to make my own. Does Insulin really increase cholesterol levels? cylon75 wrote: Does Insulin really increase cholesterol levels? It definitely increases calcification. Do you have any experiences in lifestyle-interventions (low-carb, excersise, herbals..) to get it at least a bid down? I have tried many options. Low carb doesn't work, too many hypo's. I am trying to eat medium carb like 100-150 carbs a day. I do not use a lot of insulin, about 25-33 units a day, somewhat less than average for a normal person. I use openaps to control my sugar levels but mostly the levels are driven by outside factors like temperature. Insulin doesn't seem to work for a while until the temperature stabilizes. Often I need less insulin in the cold than in warm weather which normally is the other way around. Changes in the weather destabilizes my glucose values the most. It is either very high or very low for longer periods until the weather is the same for a few days. Hydration is also very important. I went to several dietetics apart from the one in the hospital but mostly they get scared after seeing what it does to my sugar levels, getting a lot of hypo's and gain weight very fast. Normally this results in going back to my original food which isn't that bad but relatively high in carbs like bread and potato's. Carbs help when I want to do some exercise, without it my exercise is very short lived. And I turn my pump basal setting to 33% of normal 2 hours before the exercise. Still going to a orthomolecular doctor and I do take K2. I do walk a lot ( 1,5 - 2 hours a day) which is fine but high intensity activities always result in dropping my glucose levels very rapidly even when my pump cannot go any lower before it thinks my tube is blocked. My cholesterol only dropped a little with high dosage statins or a diet for very obese persons but resulted in dropping 15Kg in 4 weeks. This diet was wrongly described (for obese type 2) when I was first diagnosed (I am type 1 and not obese). Can I mix the l-lysine in my water bottle with Vit C? cylon75 wrote: I have tried many options. Did you try high-fat (meaning only healthy fats)? cylon75 wrote: Can I mix the l-lysine in my water bottle with Vit C? One can. 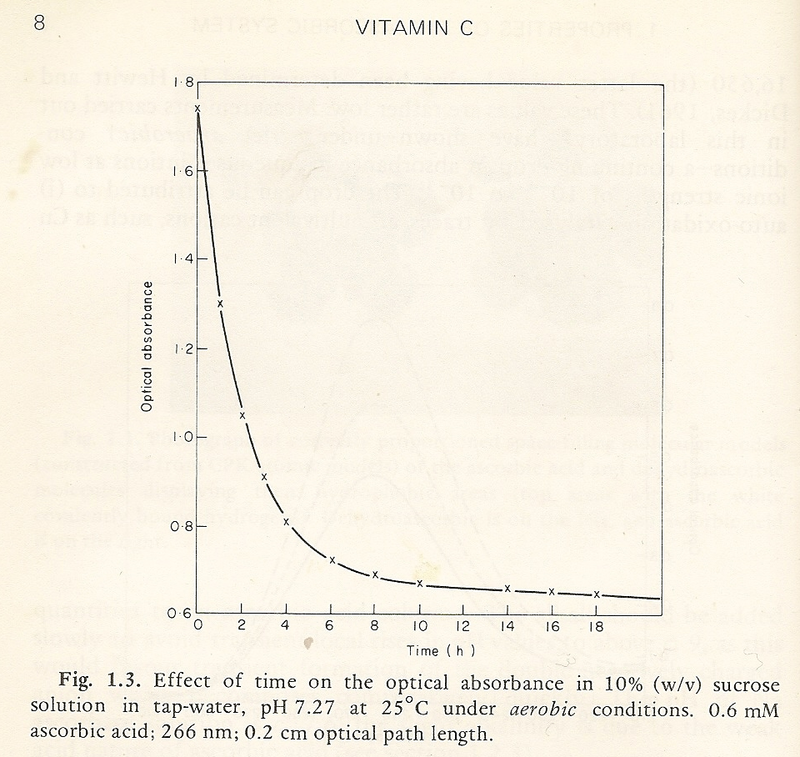 Though the half-life of ascorbic acid is only half an hour. Therefore after half an hour you're already only getting half of what you put in, a quarter after an hour. Therefore I always mix ascorbic acid fresh in a glass of water and drink it all at once. And repeat later. Your research and knowledge is very thorough, (as it is with most Type 1 diabetics I know.) Glad you found about about Pauling's therapy, and I applaud your protocol. Maybe you can help us? We recently had a report of elevated blood sugar in another Type 1 diabetic. This person found that adding proline (to vitamin C and lysine) substantially raised their blood sugars. If you have or gain any experience with proline, please share. Thank you. My strategy is to start with a 12 day fast. According to the documentary, glucose levels go to zero in 2 days. I will be monitoring mu sugar levels, but if all goes as expected, I plan to eliminate all (or most) of my own insulin (40-50 units of long term, and 15-20 units of short term). The research reports that there is a regular "acidosis crisis" around days 2 and 3. I may add some extra sodium ascorbate to counter this phase. Which brings up the point that while I will only be drinking, mostly water, I will take most of my regular supplements, especially vitamin C.
According to the documentary, the body only cannibalizes 4% of our protein during a fast (while using 96% of stored fats). It also claims that the brain "must have glucose" but that ketone bodies are an alternate fuel?? With the new found knowledge that vitamin B5 promotes efficient lipid burning (and avoids ketosis) it will be interesting to see what happens, as I plan to try and take the 10 grams of vitamin B5 during the fast. My primary motivation is to see how much I can reduce my own hydrocortisone requirement during the fast. I am not recommending that you try the fast at this time, but that documentary with previously unknown knowledge about Russian research is worth watching. Have you looked into or talked with your doc about the Medtronics MiniMed 670G? This is a FDA approved device and has proven itself as a better method. sugar levels but mostly the levels are driven by outside factors like temperature. Cold weather causes an increase in epinephrine (adrenaline) this hormone causes the breakdown of glycogen into glucose, which then can be used as an energy source. The breaking down of glycogen into glucose also results in increased metabolism and heat production and all this causes changes in your sugar levels and insulin demands. If your body is using the glucose to produce internal heat to maintain the bodies temp. the insulin levels will increase and sugar levels will drop. If the core temp. is stable and the cold exposure has not affected it. The sudden release of epinephrine from a sudden exposure to cold on the bodies surface, will cause glucose levels to increase but are NOT being used, the insulin levels will drop and the higher glucose levels will either be disposed of thru the kidney’s or used in the production and storage of adipose fat. As you can see it’s a normal action/reaction effect caused by external environment conditions. Thanks for correcting me. Learning never ends. My strategy is to start with a 12 day fast. According to the documentary, glucose levels go to zero in 2 days. When I was 21 I did a 21 days water fast (funny coincidence), which went just fine without problems. Though I didn't monitored labs at that time. What could be the reason for such glucose reading while fasting for days? After that real hell broke loose, with consistent fasting glucose readings of 130 mg/dl for about a year after, the 1 week fast having definitely transposed me into diabetic regions. Still don't know how that happened. Could have been that my liver got really excellent in gluconeogenesis, or after the fast a kind of refeeding-syndrome causing complete metabolic havoc. Still don't know, but since got great respect from what a fast can do in such a short time. Nevertheless, now I'm too playing with the thought to try it once more.. The human body needs sugar and fat to survive and when it’s being deprived of outside sources it has the capabilities to create it’s own. In the case of Glucose (sugar) the body has a few tricks up it’s sleeve to keep going and make it’s own from other products. Here’s a Wiki link to give you an idea how this works! Hope it helps in your understanding of what you saw in your glucose levels while fasting! When you were diagnosed with type 1 diabetes I’m going to assume you were over the age of 15 years? You also state that your insulin requirements vary widely because you go from high to low to good on a steady dosing! This leads me to believe that you have either type 1a or 1b or LADA diabetes. Has your doctor ever verified a subtype to your diagnosis? Have you ever had a full thyroid panel done? Have they or you checked for ketoacidosis? Urine check strips for ketone’s! Johnwen wrote: It’s called Gluconeogenesis! pamojja wrote: After that real hell broke loose, with consistent fasting glucose readings of 130 mg/dl for about a year after the 1 week fast having definitely transposed me into diabetic regions. Could have been that my liver got really excellent in gluconeogenesis, or after the fast a kind of refeeding-syndrome causing complete metabolic havoc. As you can see in my previous post, I'm long familiar with gluconeogenesis. Which alone however doesn't explain the diabetic fasting glucose readings lasting for one year after the 1 week fast. However, an unlucky combination of gluconeogensis and then refeeding-syntrome after the fast could explain it all. And therefore also might instruct 'how not to fast'. Indeed this whole year odyssey in fasting glucose readings after a seemingly harmless 1 week fast only improved after substantially increasing daily magnesium intake, by adding 1 liter of a peculiar mineral-water daily. In that it contains 1 g/L of additional magnesium. The readings of the 1 week fast I only reposted to show Owen that glucose readings of zero aren't possible. ofonorow wrote: My strategy is to start with a 12 day fast. According to the documentary, glucose levels go to zero in 2 days. And that with some preconditions, like sub-clinical mineral deficiencies, even a short water fast can back-fire badly. As it did in my case. Now - years later - just had 1 year of 10 Mg-sulfate IVs additional to 2.4 g/d of oral elemental Mg from supplements, which finally ceased any remaining muscle-cramps form the Mg-deficiency. And therefore feel in a much better place to take up fasting again. Thanks for pointing out Owen’s plan for suicide by fasting I read his post and this went right over my head. BTW; did you ever get a HbA1c blood test at or near the end of your fasting experience?? Now on to Owen’s plan!! I’d like to use a post by Robert Rister, “Author of Healing without Medication,” on the topic of ZERO Glucose Levels! You’d be brain dead in about 10 seconds as your neurons deplete the last of their very-small stores of ATP. It would be extremely difficult to revive you. However, before your blood sugar levels reached zero, most of your physiological functions would have already shut down—enough that blood sugar levels don’t actually reach zero because cells cease to function before that point. Deadly low blood sugar levels are really low, usually (your electrolyte status makes a big difference in how your body responds to low sugar levels) below 20 mg/dl (1 mmol/L), but there are deadly low blood sugar levels that are above zero. Johnwen wrote: Thanks for pointing out Owen’s plan for suicide by fasting I read his post and this went right over my head. I'm not really worried that would ever succeed, because as already pointed out - also in the documentary I just watched - the liver will kick in and produce glucose from protein and ketone-bodies from fats as substitutes. The patients had been encouraged as part of their treatment to supplement AA. Self-reported daily intake varied from 0 to 20 g/day. The plasma AA levels ranged from 11.4 to 517 µmol/L and correlated well with the reported intake. Regression analysis of their GHb and plasma AA values showed a statistically significant inverse association (eg, each 30 µmol/L increase in plasma AA concentration resulted in a decrease of 0.1 in GHb). A 1 g oral dose of AA can raise plasma AA to 130 µmol/L within an hour and such doses at intervals of about two hours throughout the day can maintain ~230 µmol AA/L.5 Similar levels could also be achieved by use of sustained-release AA tablets. This AA concentration would induce an approximate 0.7 depression in GHb. When I calculate HbA1c from mean glucose levels it indeed deviates about 0.7 from those measured during the last 10 years (5.7 vs. 5 meassured). However, my insulin-resistance calculated with HOMA from glucose, c-peptide and/or insulin averages at 1.5 (<1.2 normal), and an other calculation of insulin-resistance, TyG index, is at 4.62 (<4.49 normal). So in average clearly pre-diabetic, despite the falsified normal HbA1c at 5 only. That being said, HbA1c has been 4.6 before the fasting week (5.6 calculated), and 4.9 after with those high fasting glucose measurements (6.4 calculated). The fasting week itself was the only time-period for the last 10 years I stopped AA intake, and intermittent claudication immediately came back that week. I was indeed diagnosed with LADA when I was 31. No subtype was ever verified. I did have a GAD65 test and was found positive. Thyroid was checked but not a full panel I believe. I am regularly checked for ketoacidosis and is always negative. Johnwen wrote: Cylon75;Have you looked into or talked with your doc about the Medtronics MiniMed 670G? The Minimed 670 only adjusts basal and is not superior to Openaps. Openaps calculates basal patterns and adjust these but also does auto bolus for meals. It even has profiles for different kinds of insulin and can calculate the optimum DIA. Just enter the carbs and it works quite well. Even if you forget to enter the carbs it still does work remarkably well to keep you in range. Only when eating bigger meals you can prebolus with half of the amount and openaps does the rest. I did lower my Hba1c a little already. When eating low carb no entry of carbs is required. Well for most it works very well. In my case there are these periods where it is quite good due to openaps. Some days I have constant hypo's but less due to openaps and other days the sky is the limit. It is a DIY solution unfortunately. I am currently looking into the Tandem T:Slim X2 which will have BasalIQ (just like the minimed 670) but summer next year also ControlIQ which will also bolus. Unfortunately this pump is not available yet in my country. The 670 is just available for a few months but there are not enough cgm sensors for new customers yet. I already have a Dexcom CGM which will work with the Tandem pump. I iwant to go lower in my carbs but I don't think a really low carb diet is right for me right now or do fasting. I want to slowly increase healthy fats and slowly lower my carbs intake. At all costs I have to prevent those hypo's. I will look into the rest. Learning a lot. But is there some more information about FH? and the PKCS9 inhibitors? Genetic testing will be done in the next year, long waiting list. Lots of family members on my fathers side have high cholesterol, so it could be genetic that I cannot remove LDL cholesterol from my blood effectively. Even with Vit C it will then not stabilize to a "normal" value. I ordered a Lp(a) test and the result will be in next week. What is wise to do? I want to be prepared before this genetic testing is done. If I do have a genetic defect should I take these inhibitors or just try to keep my arteries in the best of shape I can with Vit C and the other recommended supplements? cylon75 wrote: But is there some more information about FH? and the PKCS9 inhibitors? *The development of diabetes is one such unanticipated harm found in a recent large study and it seems likely therefore that this applies to the data above, although this is a best guess. PKCS9 are new and therefore don't have any hard mortality data like statins. Note: above number needed to treat only applies to those already having had an heart attack, without any event that number needed to treat (NNT) turns astronomical. So even if I already had an heart attack, and considering the much greater likelihood of not benefiting in respect to mortality (a 1 in a 83 chance), for me the decision would be very easy to refuse treatment with a statin. With absolutely no hard data for PKCS9 inhibitors the more so. If I indeed have familial hypercholesterolemia I would probably take a second look too. But not before that being definite. But this is a highly personal decision based on one's own risk/benefit evaluation, and one's propensities to taking risks and gambling. Note: this is a forum for member fees, however each of the first posts are visible for the public. By the way, did you try high dose immediate release nicotinic acid? In my case and together with other interventions it improved my lipids in average 40% the last 10 year (HDL up 52%, LDL and Trigs down 33% and 34% respectively).